We have Unleaded & Diesel fuels served by our attendant 7 days a week. Our spares department can supply any part necessary to complete repairs. We also stock a complete range of car accessories in our reception. 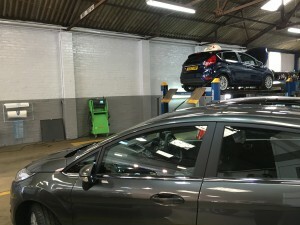 Our fully equipped workshops can attend to all service and repairs and we stock a full range of tyres for vehicles of all types, including Farm & Commercials. We are fully experienced in dealing with 4×4 vehicles and also stock a full range of tyres for vehicles of all types, including Farm & Commercials.